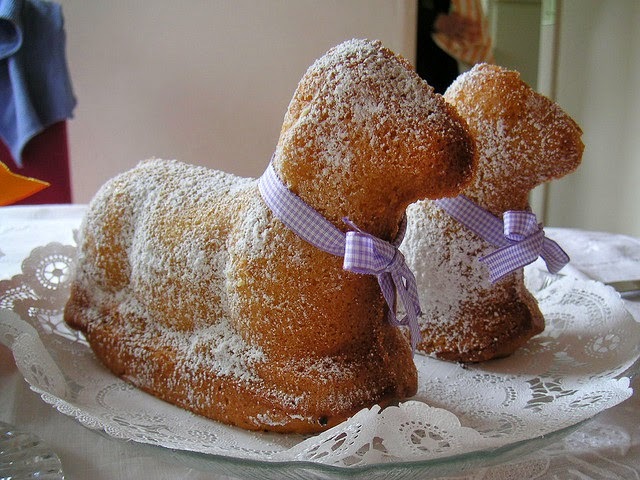 Growing up my mom always made a lamb cake for Easter, otherwise known as Torte di Agnello. 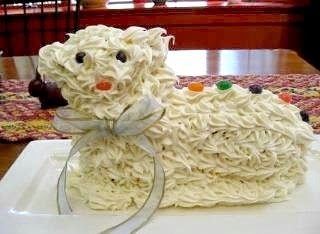 The lamb cake is an Italian & Eastern European tradition that became popular in the 1940's & 50's. My siblings and I always looked forward to making and decorating the cake each year. 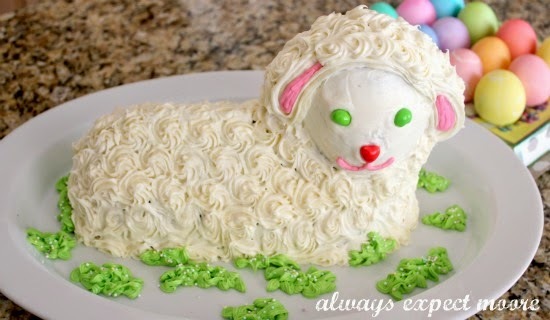 It makes a wonderful centerpiece for Easter and is a lot of fun to create. We usually decorated with icing, jelly beans and shredded coconut. Some years we would take the time to make the "fur" with icing piped in a pastry bag, and others we would pat the coconut on top of the icing. 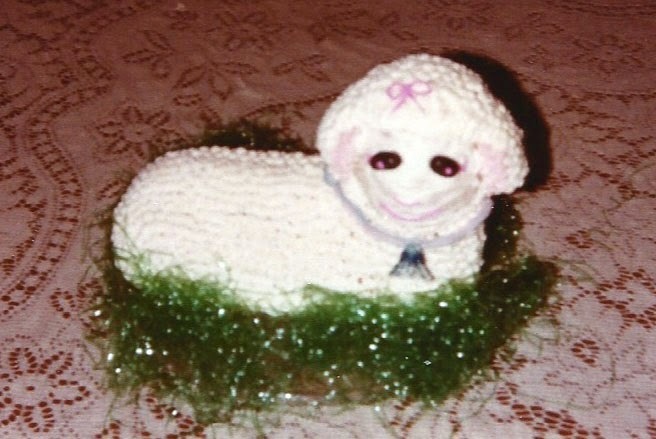 We usually dyed some coconut green for the Easter "grass" to put around the lamb. We always started cutting the cake from the rear, and it did seem a bit strange once we got to the head!